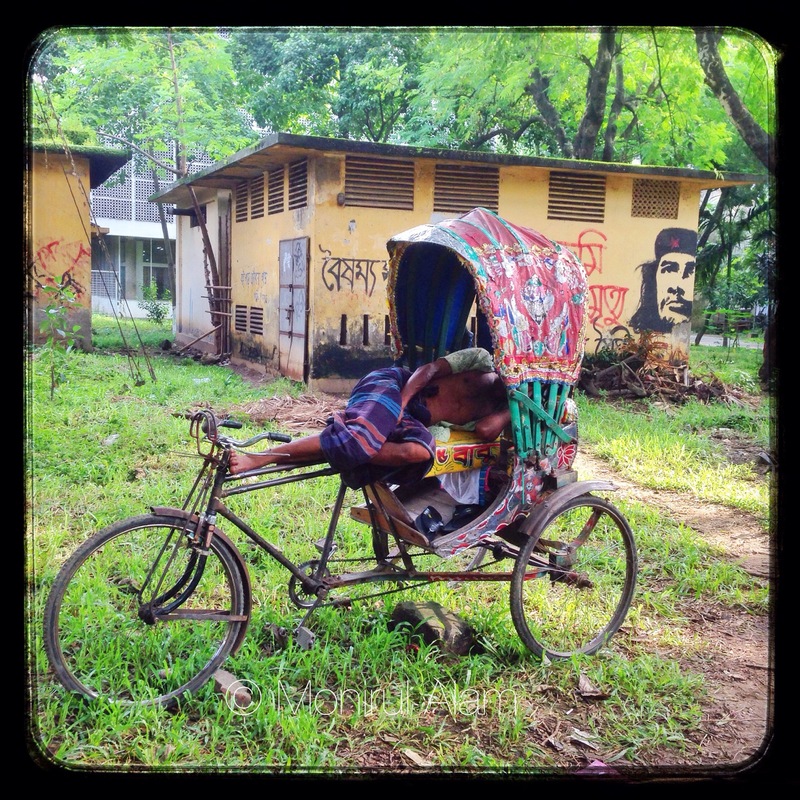 24082014 [ Daily Life ] A rickshaw puller takes a short nap in Dhaka University area makeshift a Cha wall pain display on 24 August 2014 Dhaka Bangladesh. Rickshaw puller everyday earn around 800 Tk. with rain . . .